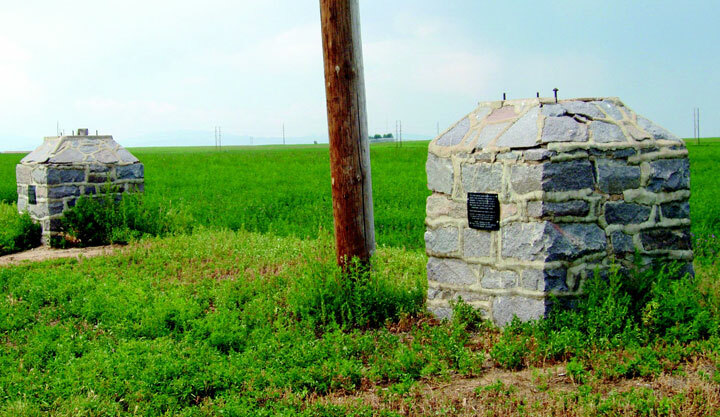 Two stone pillars along the business loop of U.S. Highway 34 west of Greeley are all that remain of what was once a 320 acre World War II prisoner-of-war camp. The camp was significant to the history of many communities in northeastern Colorado because German and Italian inmates, many of whom spoke English, were allowed to work for local farmers, filling job openings created by U.S. servicemen sent to war. The prisoners developed congenial relationships with local U.S. residents, many of whom spoke German and were of German descent. When the war ended, some of the prisoners settled in northern Colorado. Others, and their descendants, still make pilgrimages from Europe to visit the site. Populated by more than 3,000 German and Austrian prisoners captured while serving under General Rommel in North Africa, P.O.W. 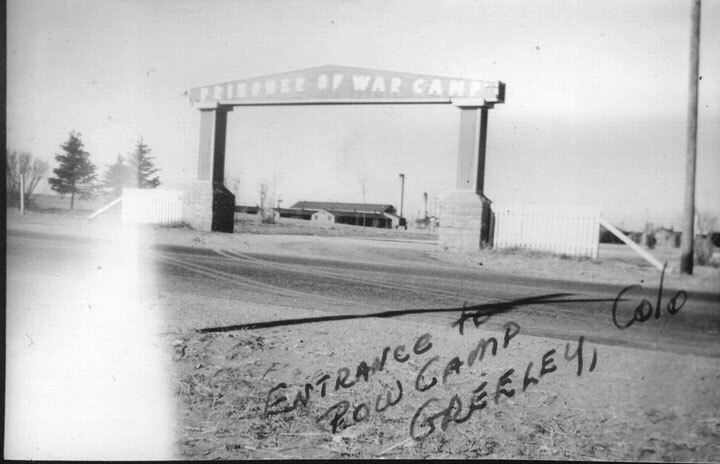 Camp 202 was a 302-acre World War II prisoner-of-war camp built in the 1940’s nearly Greeley. The camp closed in 1946, and by the time the site was selected as one of Colorado’s Most Endangered Places in2005, the only remains were two stone entrance gate pillars located adjacent to a farm field along the business loop of U.S. Highway 34, west of Greeley. The pillars were threatened in 2005 when the Colorado Department of Transportation (CDOT) began a highway expansion project for Highway 34. Fearing the loss of the only remains of P.O.W. Camp 202, a preservation campaign that included Colorado Preservation, Inc., The City of Greeley, Historic Greeley and the local chapter of the Daughters of the American Revolution was started to save the pillars from demolition, and to design and install interpretive panels explaining the significance of the site. Colorado Preservation, Inc. contacted CDOT, who subsequently met with local supporters to verify that the pillars are original to the camp and significant to the history of Greeley. To prevent demolition of the pillars and keep them as close to the original site as possible, a compromise was reached that includes CDOT relocating the pillars to a spot on the highway in close proximity to their original location and installing a turnout so that travelers can stop and learn more about the site. CDOT agreed to fund the relocation of the pillars to a nearby location that provided space for interpretive panel installation and a turnout for visitors. The City of Greeley applied for and received a Certified Local Government grant to design and install two interpretive panels at the new location. Colorado Preservation, Inc. held discussions with local museums, Historic Greeley, Inc., and other preservation groups to determine the design and content for interpretive signage that were installed once the pillars were relocated. The city of Greeley Museum conducted archaeological studies, began an oral history project, and completed a documentary film about the site. The video relates the story of the World War II camp, the German prisoners, area farmers who worked with prisoners, local citizens and the only visible remains of Camp 202 – the two stone pillars. The video is available for purchase from the City of Greeley. In early 2010, the P.O.W. Camp Pillars were officially designated as local historic landmarks.